PAGHAM chairman Tony Shea has set his sights on a strong finish to the season after the club’s hopes of silverware ended for another year. A youthful Lions side came out second best against AFC Uckfield in the quarter final of the RUR Cup in midweek. Even the return of leading scorer Dan Simmonds from injury was not enough for Pagham as goals either side of the break sealed the 2-1 win for the in-form visitors. All focus is now on the league with the Lions having the perfect chance to show the rest of the SCFL Premier what they are about when they welcome second-place Newhaven to Nyetimber Lane. The message from Shea to joint managers Tom Simmonds and Richie Hellen is simple: pick up as many points as possible and improve from the current position of tenth. He added: “The aim is to pick up as many points as we can in the run in. 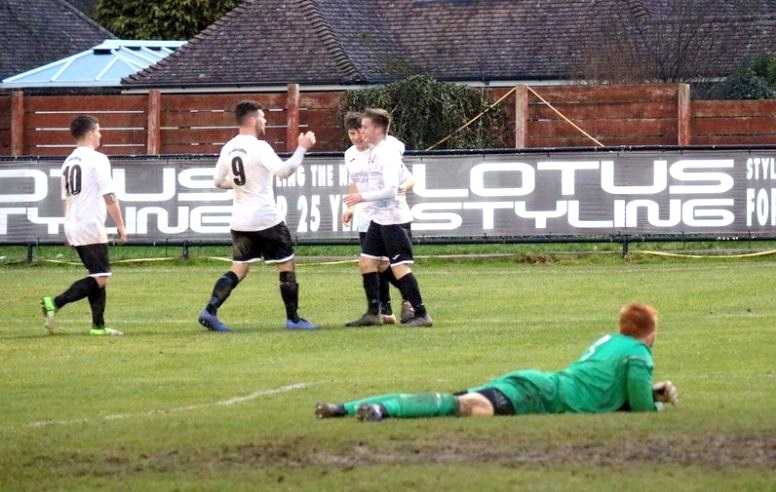 Pagham were left disappointed from the midweek RUR cup defeat which was played in testing conditions under the lights at Nyetimber. Pagham’s ranks have been boosted in recent days with the additions of former players Liam Brady (Arundel), Jordan Matthews (Chichester City), George Bingham (Wick) and Peter Beadle. The quartet were denied making the reappearance in the white and black after last weekend’s match against Arundel was postponed due to a waterlogged pitch. Shea said: “If truth be known, we are slightly disappointed from not carrying on where we left off last year. “We had a great finish last year finishing third and went into the season very positive. We are a very hard team to beat and have to finish teams off if we are to pick up points. “”I think we have drawn 13 games in the league this season – that’s too many if you want to get promoted. We’ve been beaten only four times but have got to finish teams off.